This is a lot of questions to ask but it is important to think every situation through. One of the most serious accidents involving an E Light Employee happened to a temporary laborer who was assigned one simple task. Help with daily clean up of trash and empty the trash. No JHA was written or reviewed because the task was so simple. I will not go into the details but I will tell you that before that worker could go for the day, he was on a back board in an ambulance with a broken back. There is not task that is so simple that we do not have think through the task and determine the hazards and then talk about it with the crew and make sure that the hazards are mitigated. 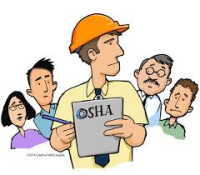 Here is an example from the OSHA booklet on JHAs. This example shows how a job hazard analysis can be used to identify the existing or potential hazards for each basic step involved in grinding iron castings. Task Description : Worker reaches into metal box to the right of the machine, grasps a 15-pound casting and carries it to grinding wheel. Worker grinds 20 to 30 castings per hour. Hazard Controls: 1. Remove castings from the box and place them on a table next to the grinder. 2. Wear steel-toe shoes with arch protection. 3. Change protective gloves that allow a better grip. 4. Use a device to pick up castings. E Light has developed a process for writing JHAs that is in line with the previous OSHA requirements. 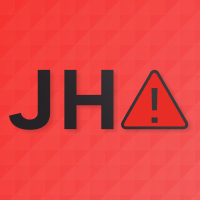 We require a JHA to be developed for all tasks that crews will be required to perform. We also require written installation plans and that is the best place to begin when developing a JHA. An Installation plan can come in many formats. We have electronic versions which can be emailed to the crew, we have iAudtior templates to develope an installation plan, we have Bluebeam studios and training which can be used to develop installations plans and we can also hand write them. THE KEY IS THIS: IT NEEDS TO BE A WRITTEN DOCUMENT THAT CAN BE COMMUNCIATED TO THE CREW IN WRITING. - The crews have to have access to it, IN THEIR WORK AREA, or it is doing no good. We used to call these installation plans RIPs but we changed that name because they tended to be used only for material or when material was ordered.The installation plan is required for all tasks, whether material is ordered or not. We have an iAuditor Template for writing installation plans and once complete, the installation plan can be either printed and handed out or better yet, emailed to your crew so that they have it on their smart phones to reference any time they would like to look at it. We can also integrate instalaltion plans into your electronic blueprints using Bluebeam studio. Your E Light pocket notebook includes Installation Plan guidelines to help you when developing an installation plan. The following is from the Pocket Notebook. Productive or Primary Time: Actually installing, systems, wire, boxes, and moving material one time for each piece. Lost Time: Installing items more than one time, looking for material, looking for tools, injuries, etc. Your project can only be profitable if the majority of time spent each day, by every crew member is Primary time. If the crew members are having to look at the blueprints to find inforamtion or figure out how to install something, or if they are having to go to the material lay down area for parts, then they are not doing Primary time and you. THE SUPERVISOR, are the cause of the profit being reduced because you did not provide your crew with 100% of the tools, information and materials they needed to do their job. Your goal as a supervisor Is to do the planning, communicate the plan, and provide the crews with the tools, information and materials (TIM) so that we reduce every minute we can from them having to do preparation time and loss time and focus the use of their time on productive time. Everyday you need to be looking around and asking yourself "What percentage of your crews time is spent doing preparation and lost time?" Once an installation plan is written for a task you will have identified the steps of the task. This is the perfect opportunity next develop the JHA. We use an iAuditor template for writing a JHA. Open your iAuditor and go to Templates and it is the template named: Operations: Job Hazard Analysis. We also have many general templates for JHAs which have been developed for general type tasks such as Trash Pick Up, Rough Wall Installation, Rought Ceiling Installation, Working above ceiling tiles, etc. These have been developed so that you can use them and just make minor modifications to speed up the process. Please contact the Regional Safety Manager or the Director of Education and Loss Prevention to arrange training on how to use iAuditor or to offer suggestions for template revisions. All JHAs, Installation Plans and any other documentation which is generated for a project must be emailed to the project coordinator or project engineer so that it can be saved on the Construction Network Drive in the Project Folder. This is very important to remember so that we can have archived copies of our documentation and record of how the building was built. If you are unsure how to do this, contact the Director of IT to arrange for training.